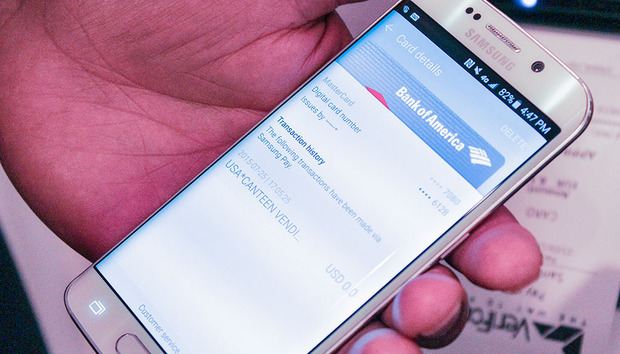 Mobile payment systems are the new fingerprint sensors: Everybody’s got to have one, it seems. But while Android Pay and Apple Pay enjoy fairly widespread phone support—at least where mobile payments are accepted—Samsung’s own creatively named Samsung Pay has been limited to the Galaxy Note 5 and Galaxy S6 variants alone. Not only will Samsung Pay likely start landing on more modest Samsung phones next year, global co-general manager of Samsung Pay Thomas Ko told Reuters, but the service will also expand to making online payments. Samsung’s clearly banking on ubiquity to help propel Samsung Pay forward: Ko says that the mobile wallet is accepted at far more locations than its rivals, due to its ability to work with older payment terminals and not just new NFC-equipped models. Online payments, meanwhile, will transform the service into a PayPal rival. The more ways you can use a mobile wallet, the better—and teaching Samsung phone owners to store their payment info in Samsung Pay for swift online payments could coax them into pulling out their phones at the cash register more often, too. Time will tell whether Samsung’s in-house solution can gain traction in the face of the Android Pay/Apple Pay combo, but wider phone support and expanded payment options are nothing but a good thing for Samsung Pay users.